This week we continued to follow the children’s interests into fireworks. Over the past few weeks the children have created lots of fireworks using junk modelling, paint, chalks and pastels. The children have become very independent in selecting the tools and resources they need to create their pictures, so this week I decided to add in forks and cotton tips to the tools to see what they did with them. 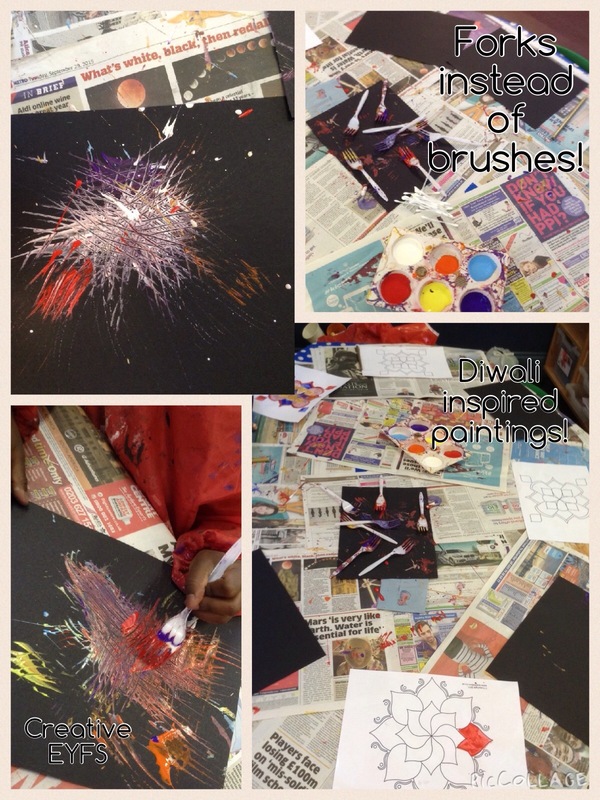 The children really enjoyed using the forks to paint with and making firework noises as they manipulated the paint on their page. The cotton tips allowed the children to develop their fine motor control by creating intricate fine lines both straight and wiggly. The end results were really effective!